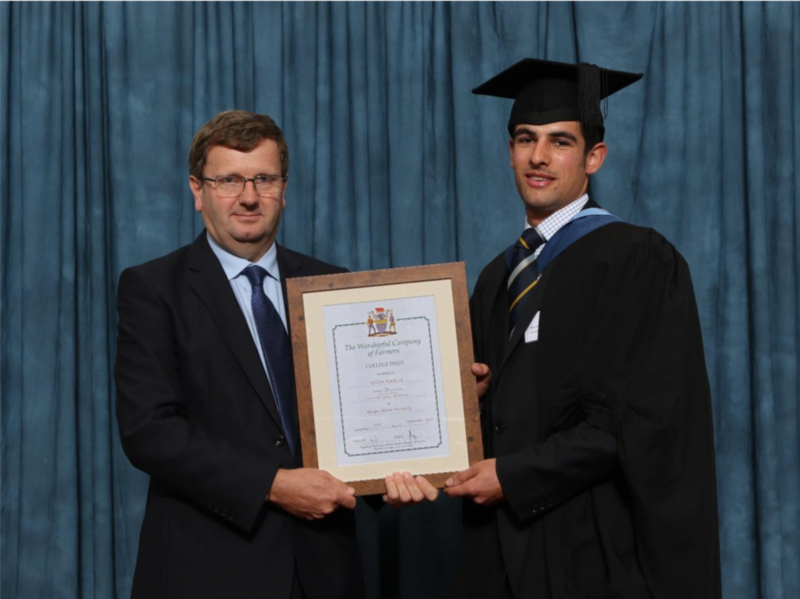 The Worshipful Company of Farmers Prize for the best BSc (Hons) Agriculture student achieving the highest marks for their Honours Research Project. Jim Monaghan, Reader - Fresh Produce and Horticulture, said: "Will Hitchcock graduates with a first class honours degree in Agriculture with Mechanisation. "Will’s project - Quantifying the effects of a pre-cleaning chaser system on sugar beet crop recovery – studied the use of chaser systems as one approach for UK sugar beet growers to improve efficiency and minimise soil damage at harvest”. "Will’s project has been of particular interest to the British Beet Research Organisation”. Will, 22, is from Stowmarket, Suffolk.